The Toyota Mirai FCV (fuel cell vehicle) may follow in the Prius’s footsteps to establish a family of cars for eco-minded consumers. According to Autocar, chief engineer Yoshikazu Tanaka said that he would like to see the Mirai “procreate” into a full line of vehicles, similar to the variants of the Prius that include the Prius Plug-in Hybrid, Prius v wagon, and the subcompact Prius c. He gives a window of 10-20 years for FCVs to attain the sale volumes enjoyed by hybrids today. Toyota’s family of hybrid and electric vehicles includes models from Lexus, its luxury division arm. With eight million global sales, Toyota sells more alternative fuel vehicles than any other manufacturer, far head of Honda and Ford, who hold the number two and three spots. Tanaka did not discuss details regarding the Mirai’s configurations, but according to a source, a wagon, hatchback, MPV, and SUV may be considered. The Mirai is being built at the low-volume Motomachi Plant in Japan, where the Lexus LFA supercar was assembled. Extracting hydrogen from renewable resources is a costly process, and it is one of the main roadblocks for the mass production hydrogen FCVs. The infrastructures needed to extract the gas also burn fossil fuels. Progress has been advancing in other areas. In 2008, a fuel cell that weighed 240 pounds and produced 121 horsepower now weighs 125 pounds and produces 154 horsepower. 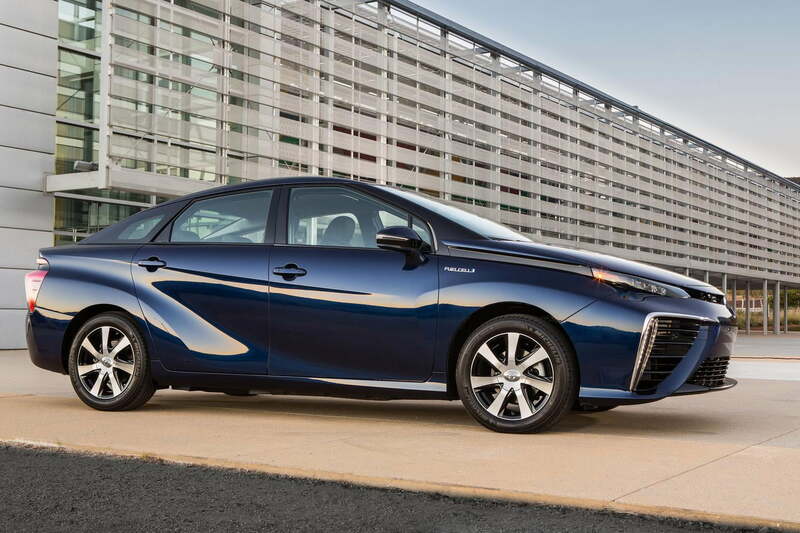 Toyota stated in a press release that production of the Mirai will be limited to 200 vehicles this year, initially available only in California. The cars were made available for order at eight dealerships in July, and will be delivered to customers this month. The world’s biggest car manufacturer plans to have 3,000 units on the road by the end of 2017.